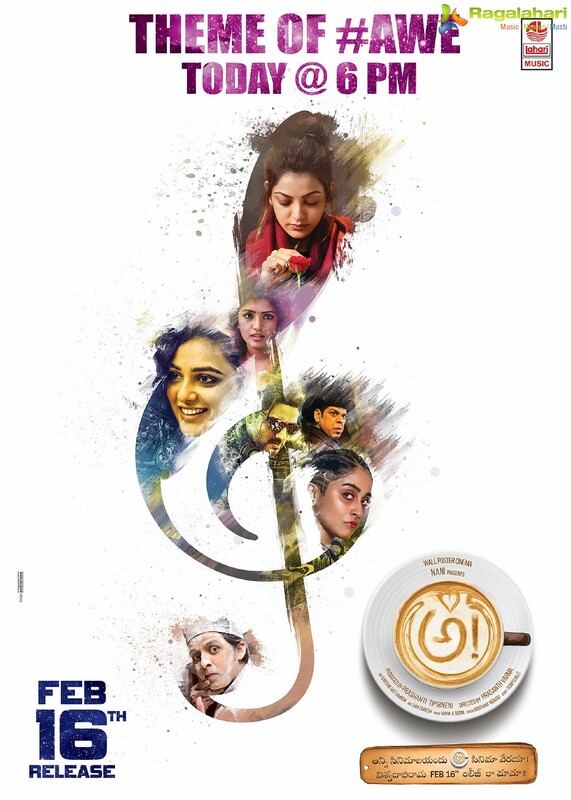 Here is an awesome update from Nani’s maiden production ‘Awe’ team. The theme song of the film will be released at 6 pm today. Robin has given musical scores for this film. This much awaited film is releasing on February 16. The film is being presented by Natural Star Nani and it features huge star cast like Kajal Aggarwal, Nithya Menon, Srinivas Avasarala, Eesha Rebba and Priyadarshi. Mass Maharaj Ravi Teja and Nani lend their voice for this film and Wall Poster Cinema is bankrolling the project.